Bring a sense of adventure with you to Park City because there are great climbing walls located within an easy drive of the base and, conveniently, within the resorts themselves. Outdoor adventures for people with disabilities and disadvantages. Activities include whitewater rafting, outdoor climbing, canoeing, snowshoeing and cross country skiing. Explore 1200 acres of wildlife on a refuge that offers ample recreational pursuits for outdoor enthusiasts in a picturesque location. Little Cottonwood Canyon is one of the most popular climbing areas, holding hundreds of routes from 5.6 to 5.12 and up. 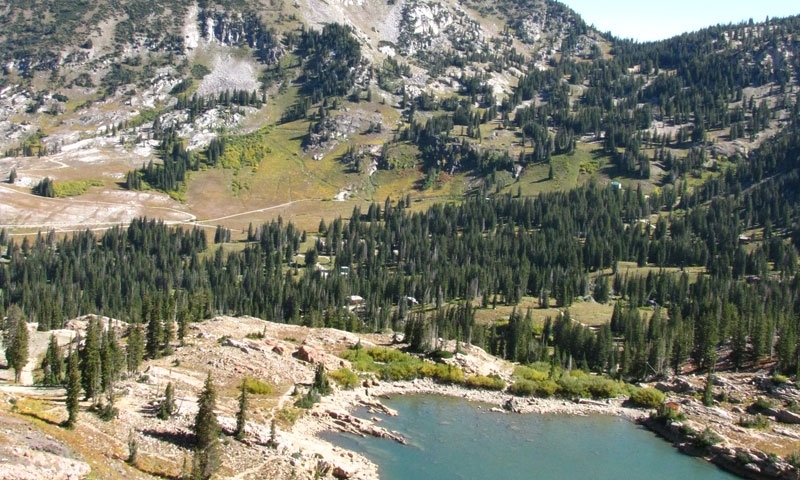 American Fork Canyon is a climbing hot spot, with new sport routes cropping up regularly. In and around Park City, there are multiple artificial walls to try the sport in a safe, controlled environment. Rock climbing has been gaining popularity and momentum in the last few years, as shown by the increasing number of gyms and artificial walls. For those who haven't tried this growing sport yet, the area around Park City is a great way to get introduced. For those who already know the zen/joy of climbing, the Cottonwood Canyons and other regions will provide plenty of routes of all variety. Multi-pitch sport or trad, top-roping and bouldering are all popular activities in this area, putting visitors in good company. Learn the ins and outs of trad climbing in the Park City area. Find out how you can help keep climbing locals open to the public.